L --> R in chronological order. I excluded 9mm on purpose. 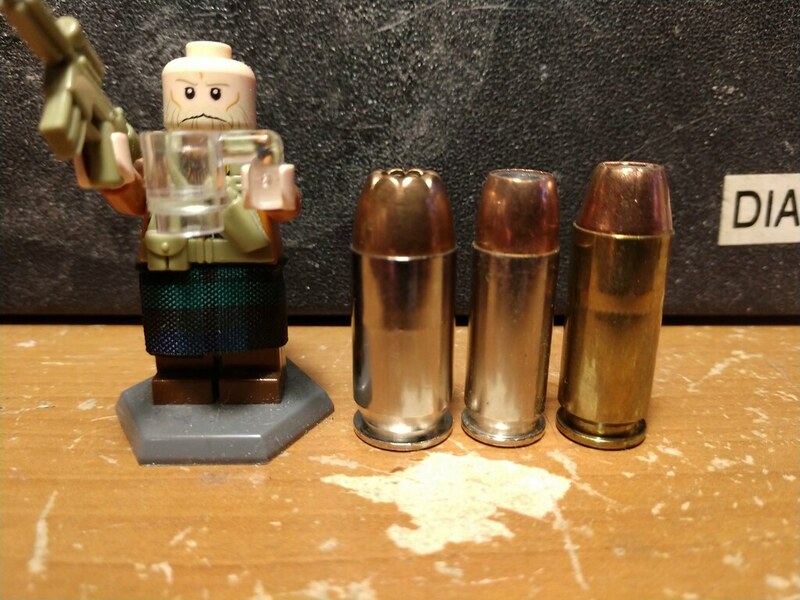 The first gun that pops into my head when I think about these three rounds is a 1911, that's not true of 9x19mm. Maybe I'm odd, but the first gun that pops in my head when I think 10mm Auto is the Glock 20. I don't know how many casings it can hold. It's located immediately behind the breech, so it's not safe to stick your hand in there when the gun can fire.